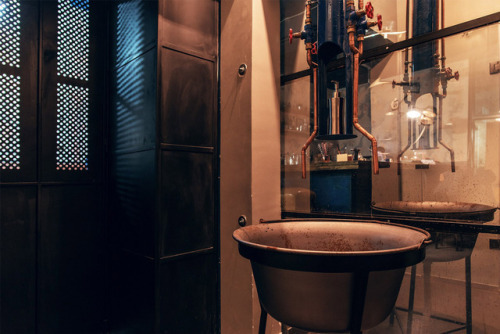 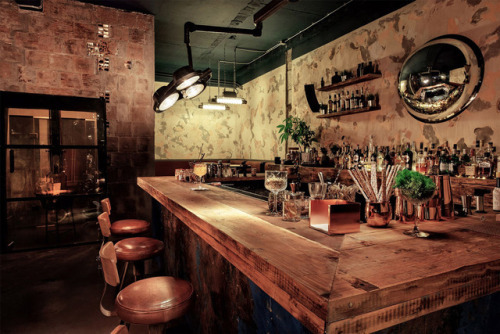 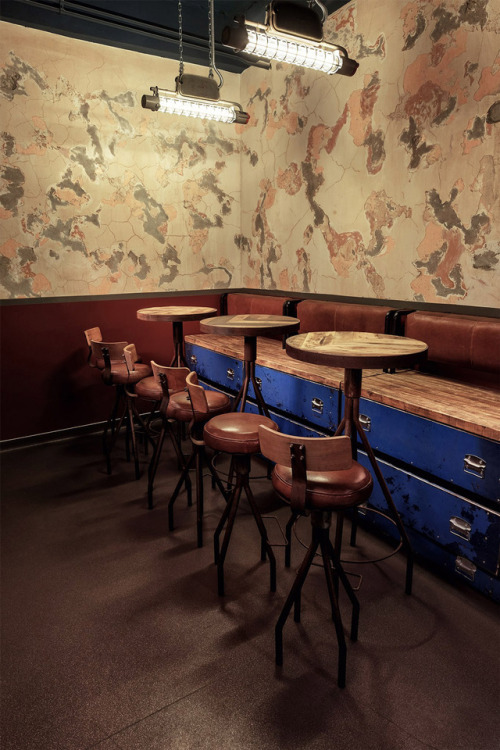 Located in Iasi, Romania, Oddity Bar resembles an antiquated atelier where a charmingly rusty wooden bar takes the place of the workbench and tool racks are overflowing with shiny glasses and bottles. 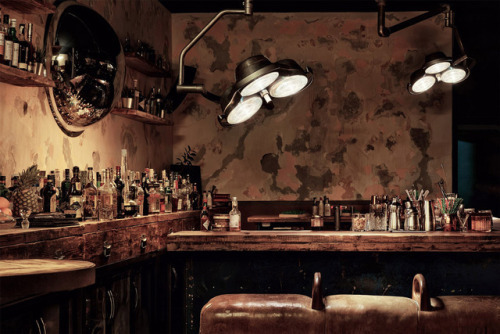 The design, envisioned by local architecture firm aPunct, is a weird and wonderful mishmash of recycled objects and time-worn textures that somehow weave together to create a coherent, visually stimulating space. 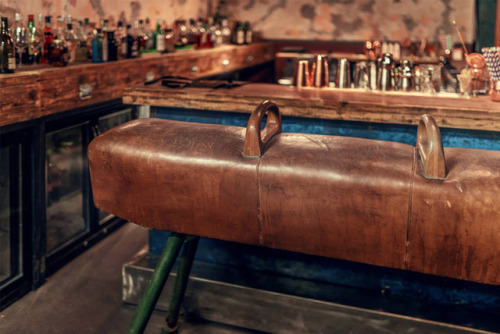 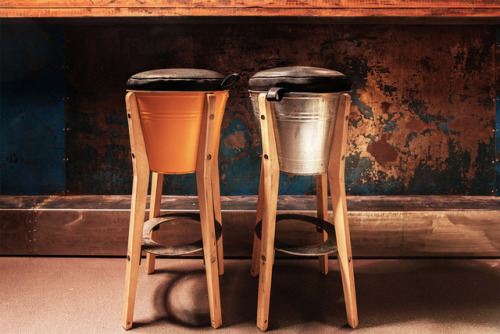 Objects are given new life and meaning, and a few unexpected details here and there add to the venue’s unique character – a salvaged surgical lamp looms above the bar, an old pommel horse serves as seating, and a couple of distorted mirrors hang on the crumbling walls, playing with your mind and your perception of reality. 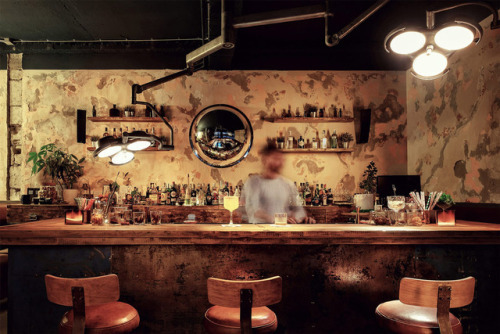 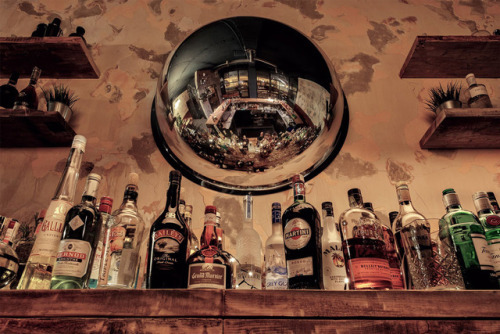 Expect a cool, relaxed vibe complemented by superb cocktails and excellent music.